Ulixis Crafts: Item of the day: For your eyes only! 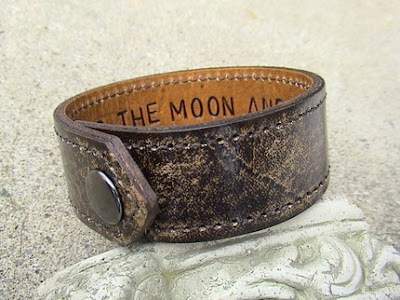 I love that you can inscribe a secret message inside this leather cuff by (Canadian!) leathermadenice! You can choose the colour & finish - personally, I like this distressed look. I was thrilled to find our "For Your Eyes Only" wristband in you blog post this morning.